Thank you to Sourcebooks Landmark for this copy! What a creepy and fantastic story straight from the headlines as it's reminiscent of The Slender Man - supernatural? No, but if you know the incidents that happened, this will definitely pique your interest and keep you glued to the pages. Jessica and I both LOVED this book - see our thoughts below! "Alice, what did the penguin always tell you?" Alice, at the age of 14, was stabbed repeatedly and left for dead by two of her classmates as a tribute to Mister Tender, who promised to make them famous if they carried out this deed. How far would you go to get the one thing you have always wanted? That's the million dollar question, isn't it? And if someone digs into your mind, finds your hearts desire and promises it to you on a plate for the act of one deed... would you take it? After all, you did say you would do ANYTHING. I don't know if you all remember Slender Man, but I surely do. I was fascinated with the case in which two girls were arrested for stabbing another girl 19 times as a tribute to him. Mister Tender's Girl is based around this true story. Like the Slender Man victim, Mister Tender's victim, Alice, survives. Decades later, she's trying to live as normal life as she can even though this act broke apart her family... and her mind. Under severe panic attacks and using boxing as a form of therapy, Alice is about as good as she can get. Then a mysterious package arrives and she finds out that her life is being chronicled and watched by victim fetishists. Can't this poor girl ever get a break? I tell you, true crime is always been more fascinating than anything an author can make up. Tie a true story into your own take and color me intrigued and glued to each and every word. Carter Wilson has a way of drawing you right into this fascinating story. With each word, he stabs you in the heart while you end up breathing Alice's paranoia and panic. I was enthralled by her plight, her survival and how an act that was completely out of her control threatened to destroy everything around her. I highly recommend this book. Put this on your TBR as it comes out in February and you really don't want to miss out. Especially if you're familiar with the Slender Man story and/or like stories taken from the headlines. Who here is fascinated with the Slender Man case? I definitely am and the whole idea of Slender Man sends a shiver down my spine. A faceless man/demon that gets you to commit violence - no thank you! 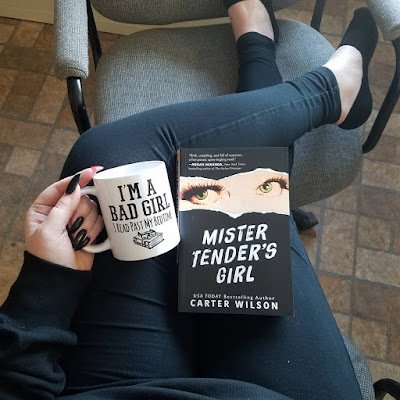 Well, MISTER TENDER'S GIRL by Carter Wilson is inspired by these true events and he does a fantastic job sufficiently making you uneasy as you read. Alice is trying to run from her past. She was the victim of a brutal attack at the age of 14. Two "friends" of hers took her into the woods of Gladstone Park and attempted to kill her in the name of Mister Tender. The worst part? 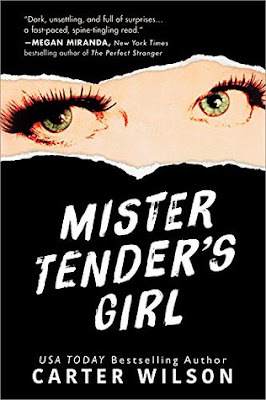 Mister Tender is a character from a series of graphic novels that her father created. He is part man and part demon that gets you to commit horrific acts of violence and in return you will be rewarded what it is you want most. 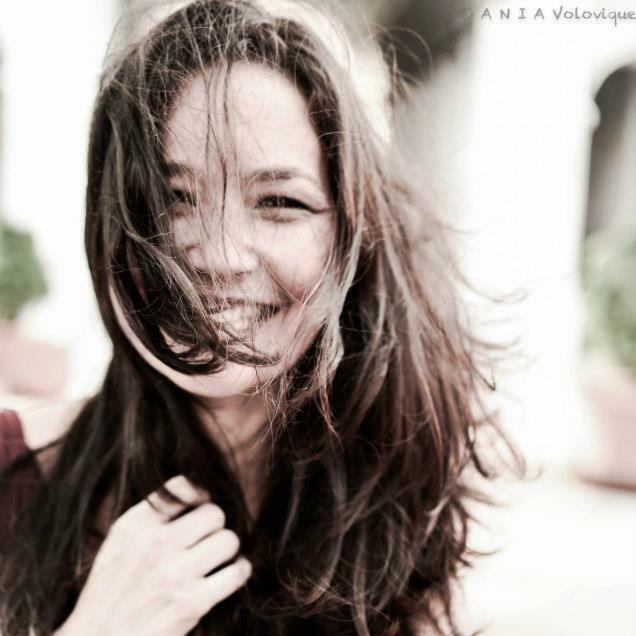 She changed her name and moved cities trying to put the past behind her. One day she is sent something that shouldn't exist - the cover art of the final book in the Mister Tender series. Her father vowed to never draw him again after her stabbing. It is soon revealed that she has a stalker, someone that has been following her for years and knows her deepest secrets. A man known only by his username: Mr. Interested. I read this book in one sitting and I definitely read well into the 2am hour. I love horror and suspense, and it takes a lot to creep me out. Well done Carter Wilson, as I was turning off the lights in my house I had that eerie "something is behind me" feeling. You know that speed walk you do when that happens, where you're trying to not make it obvious? That was me! You will not regret picking up this book! 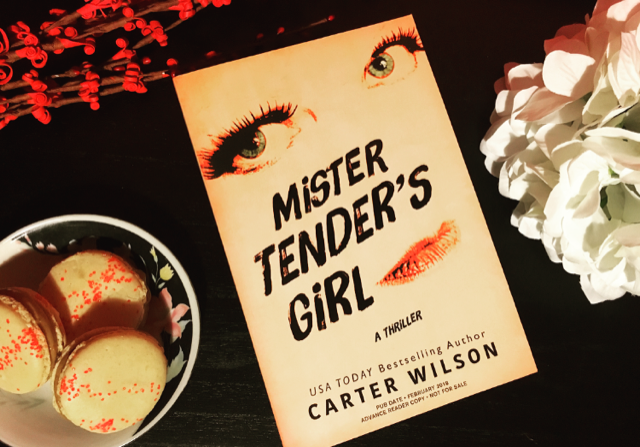 I want more about Mister Tender - it would be so interesting to see more about him and how he was created/other stories about him. I give this a solid 5/5 stars!